Jenny Lewis has served as the Chief Financial Officer for Mavin for 4 years. As CFO, Jenny manages all financial aspects of the business, including budgeting, financial reporting, payroll, accounts payable, accounts receivable and cash management. 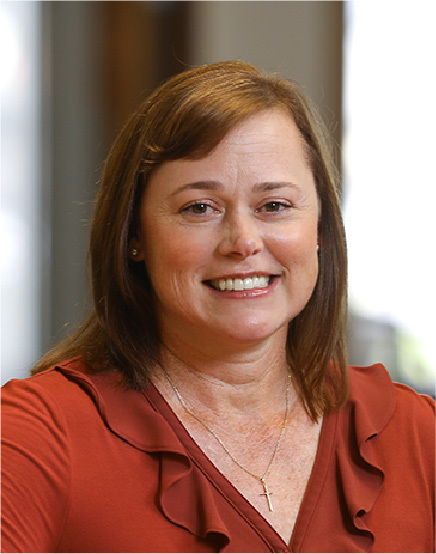 Jenny grew up in Baton Rouge, Louisiana, earned a Bachelor’s degree in Accounting at Louisiana State University and is a Certified Public Accountant. In Jenny’s words, “everyone is family” at Mavin. Jenny is a PR committee member for the Greenville Humane Society and former VP of Finance for the Junior League of Greenville. She is married to David and has 2 children, Bradley and Brooke. She enjoys watching her son play baseball, watching her daughter’s gymnastics competitions and walking her dogs.